Last night, I saw the movie AWAY FROM HER starring Julie Christie (Fiona) and Gordon Pinsent (Grant). Fiona, a bright and active woman, develops Alzheimer’s disease, and the story explores what happens to her relationship with her husband and what remains of the love in their 44-year marriage as her shared memories of their life together disappear. The movie is respectful to many of the realities of living with Alzheimer’s and doesn’t commit Fiona instantly to vacant oblivion. Christie delivers a powerfully authentic performance, revealing layers of awareness colored by confusion, embarrassment, panic, humor, and resilience through an ever-thickening fog of dementia. And Pinset’s portrayal of her husband’s denial and then heartbroken devotion are believable and moving as well. I fully recommend the film, but I do think it simplified a lot. For example, although we see what Alzheimer’s does to Fiona and Grant, their story contains no children, no siblings, no friends or colleagues, no grandchildren. In my family and in others I know, the impact and loss from Alzheimer’s are felt not just by the person with dementia and his or her caregiver. It ripples through the family, through friends of family, through the community they live in. And it affects everyone differently. 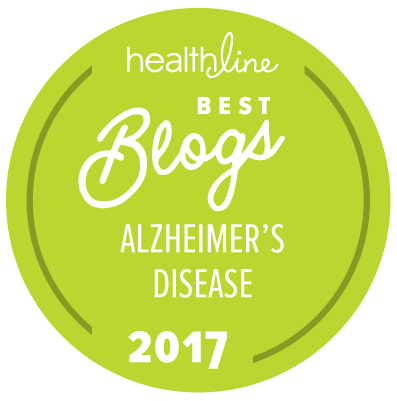 How has Alzheimer’s affected you? The story was very moving and emotional for me, as my own grandmother suffered and died with Alz. I feel my comment to the above is that, being married to the same person for so many years is a little different than family love and closeness. As married couples go… you are as one, if your lucky and blessed. I'm thankful to have seen this film. It has given me a greater insight of what it's all about on a deeper level. I plan to Move, Voice, Open. D.A.W.